MOSCOW (Sputnik) - Russia will hold a briefing at the Organisation for the Prohibition of Chemical Weapons (OPCW) on Thursday, at which people who witnessed the process of staging the recent chemical incident in the Syrian town of Douma will be present, a spokesperson of Russia's Permanent Representation to the OPCW told Sputnik on Tuesday. Earlier in the month, an 11-year-old Syrian boy named Hassan Diab and his father told the Rossiya 24 TV channel that children got food for featuring in a video that allegedly showed the outcome of what was being considered a chemical attack in Duma. 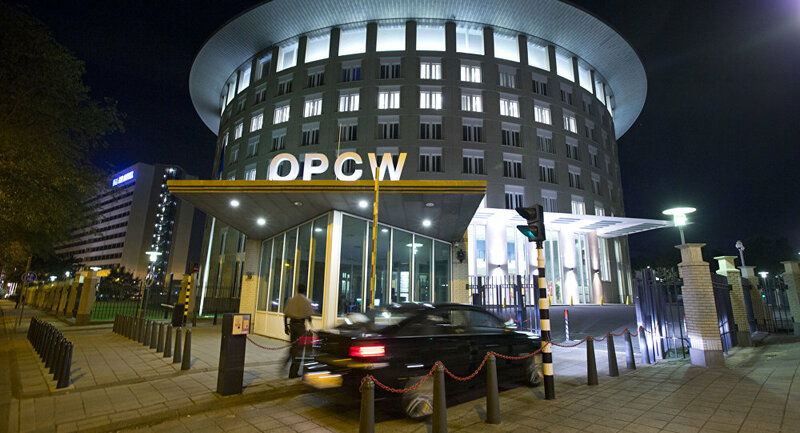 On Sunday, Alexander Shulgin, Russia's permanent representative to the OPCW, said that he would do his utmost to organize the boy's visit to the OPCW so that he could to testify about the staged nature of the incident. According to the spokesperson, the briefing will take place at the headquarters of the OPCW. After the briefing, the Russian diplomatic mission will host a press conference in the Hague, the spokesperson added. The situation around Syria escalated in the wake of the reported chemical weapons attack in Duma on April 7. The alleged attack prompted France, the United Kingdom and the United States, all of which blamed Damascus for using hazardous substances against civilians, to fire over 100 missiles on what they called the Syrian government’s chemical weapons sites. The Syrian government and Russia have refuted the allegations, saying that the attack was staged by militants and the White Helmets group to influence public opinion and justify possible foreign intervention. 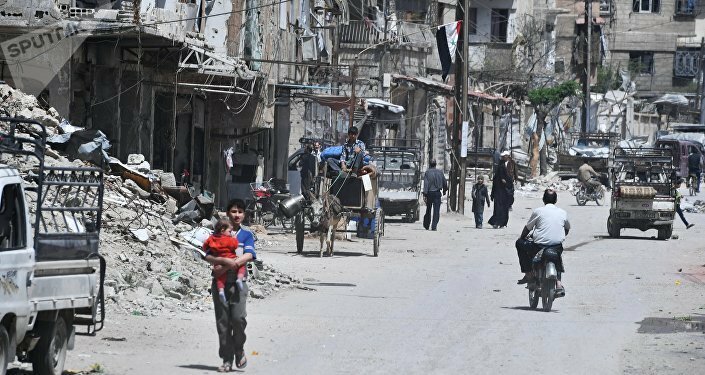 In order to investigate the details of the incident, the OPCW sent a fact-finding mission to the Syrian town last week. Diab and his father recounted the details of the White Helmets' filming process to Sputnik. According to the boy, he felt fine after the Duma incident. The boy's father confirmed that Hassan received some rice and sweets for his participation in the filming. The Syria Civil Defense volunteer organization, also known as the White Helmets, declares itself as a non-governmental organization aimed at protecting Syrian civilians, yet a number of videos made by the group emerged, revealing that rescue operations were staged with the "victims" wearing makeup and given instructions on what to say. The rescue workers were allegedly captured on tape carrying arms and dressed in military uniform. Syrian President Bashar Assad has said that the group is affiliated with the al-Qaeda terrorist organization, which is outlawed in many countries, including Russia.